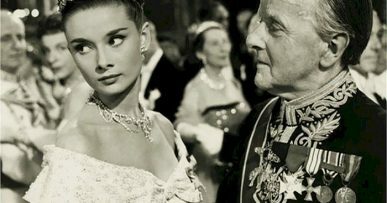 Rome is a classic in more than one sense of the word. But how does this classicism translate when the sun goes down and the children of the eternal city come out to play? Despite not being as hedonistic as other European cities like Berlin or Prague, Rome is still full of clubs, bars and places to go out, many of which seamlessly transform into cafes during the day. We’ve already talked you through a couple of our favourite places to go out, now let’s take a more general overview of the clubs and bars in Rome. Newcomers to Rome tend to congregate around the Campo de’Fiori, where they take advantage of Rome’s relaxed drinking laws and offers in the area to get leglessly drunk and lower the tone of this beautiful square. 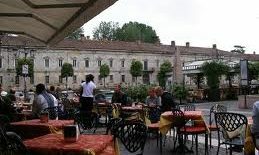 There are still some good watering holes here, however, and even more so in the attractive area around the Santa Maria della Pace church, which tends to have a slightly more “local” feel. La Vineria (Campo de’Fiori, 15) – A long-standing, classic wine bar with very reasonable prices. Unsurprisingly, fills up quickly. The Antica Vineria (Via Monte della Farina 37) – With posters of Che Guevara and pictures of the seventies on the walls, this vaguely rebellious wine bar is a popular place among locals. The most popular area for large clubs, Testaccio normally gets going after midnight. You’ll find a cluster of different clubs around the Via di Monte Testaccio. Choose your destination and stick to it: lines can get long around here. In the nearby district of Ostiense, you can also find other staples on the club scene in Rome, such a Goa and Gilda. L’Alibi (Via Monte Testaccio 44) – Offers a roof garden and a mixture of house, soul and dance beats. Indiscriminate and a popular venue on the Roman gay circuit. Akab (Via di Monte Testaccio, 69) – A venue which is best known for its quality live music acts that are generally on until 11 pm. Plays house, reggae, funk and acid jazz. 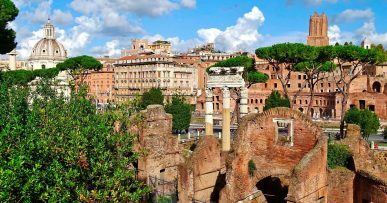 Rome’s typically bohemian area has become something of a victim of its success in recent years, as tourists have cottoned onto the charm of its postcard-like streets. There’s still many “authentic” venues to be found, however. 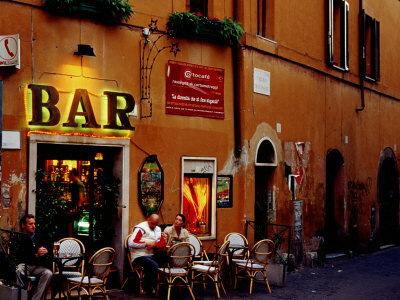 Bar San Calisto (Piazza di San Calisto, 3) – A typical Italian bar, which in any other place would be unremarkable, but in the centre of the Trastevere district becomes rather more special. 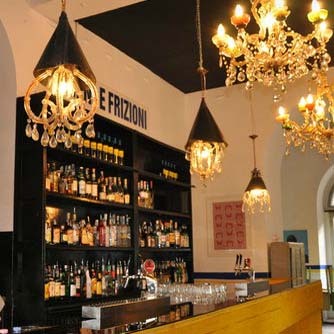 Freni e Frizoni (Via del Politeama, 4) – Drinks in this surprising venue, which used to be a garage, come with an excellent buffet. The crowds of hipsters who come here often spill over into the square next to the river. …these are the areas which have the highest concentration of bars and clubs in Rome, although there are obviously other further out districts, such as up-and-coming Pigneto, which deserve a look if you’ll be here for a significant length of time. For now, however, these should be enough clubs and bars in Rome to be getting on with. Why not let us know if you find any more?